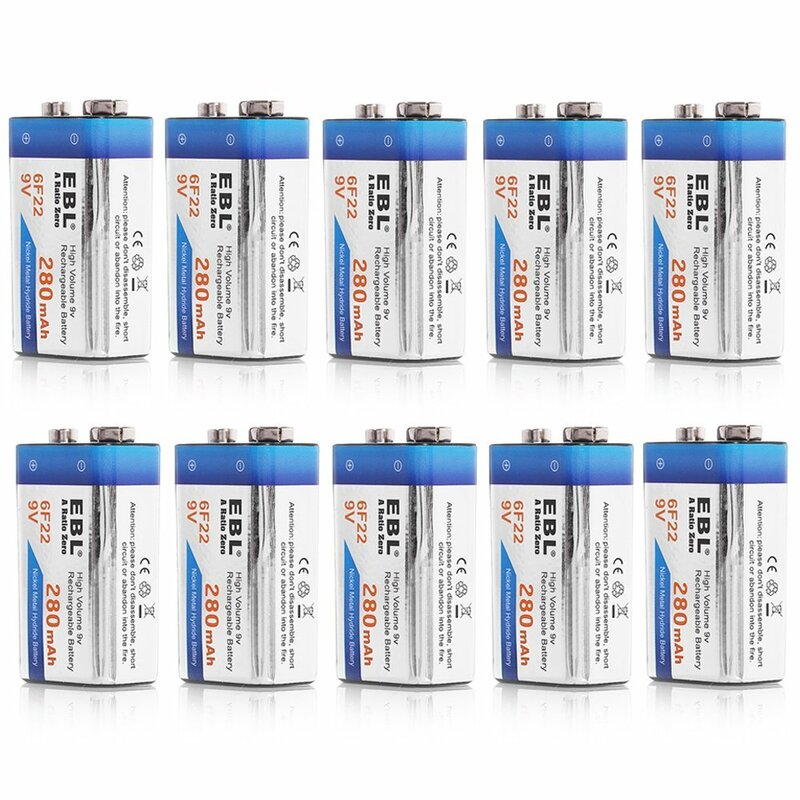 These 10 packs of rechargeable 9-volt batteries are high quality rectangular Ni-MH batteries. The powerful Ni-MH rechargeable batteries are useful for walkie-talkies, smoke alarms, clocks, car audio and medical devices. 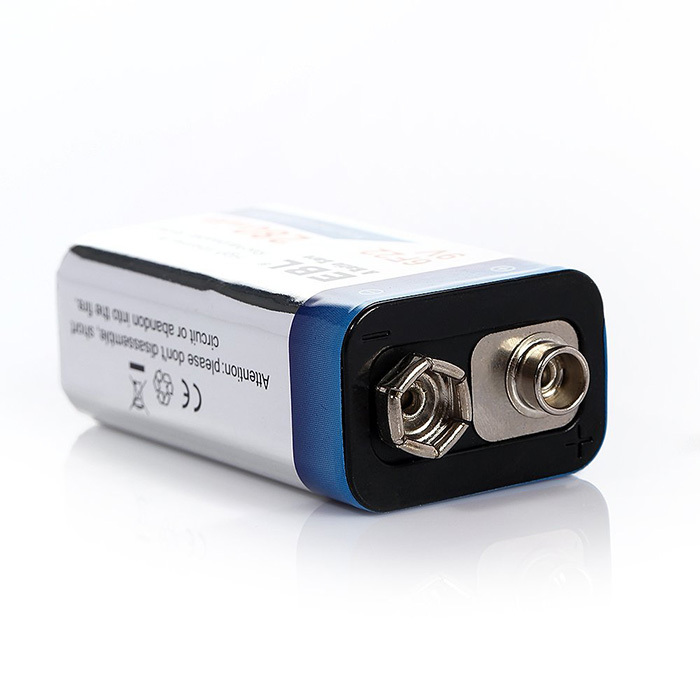 The batteries can be recharged most conveniently with no momory effect. 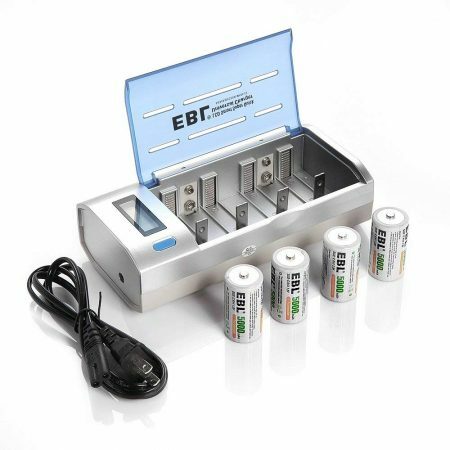 The rechargeable 9-volt batteries hold battery capacity stably for long long storage. You can recharge these batteries rapidly. 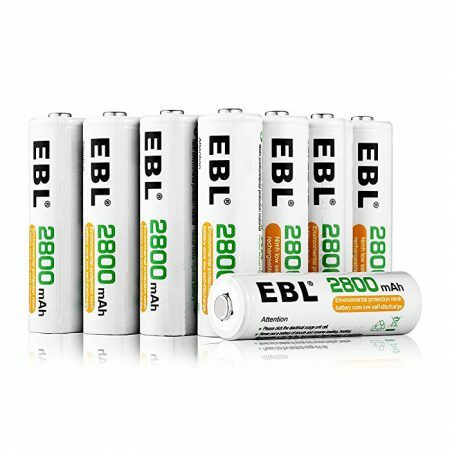 They feature long battery lifespan, up to 1200 recharge cycles. 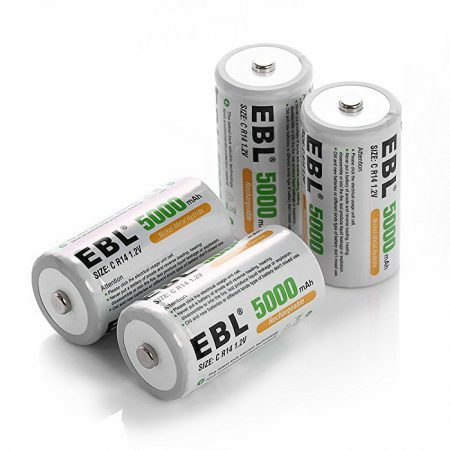 EBL has a series of rechargeable batteries for all sorts of devices. They are designed with strongly built quality. 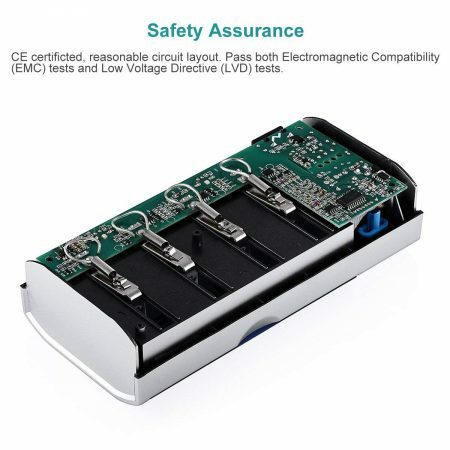 The rechargeable Ni-MH cells for these 10-count 9 volts batteries meet the testing and safety standards for CE and ROHS certification. 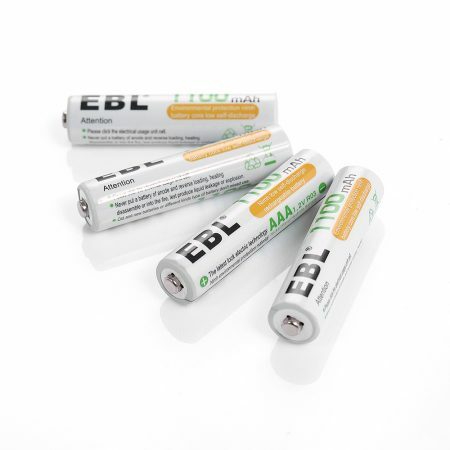 These 9V rechargeable batteries can be widely used for many devices. The important uses include clocks, smoke alarms, walkie-talkie sets, professional audio equipement, medical devices and other commonly-seen devices in everyday life. 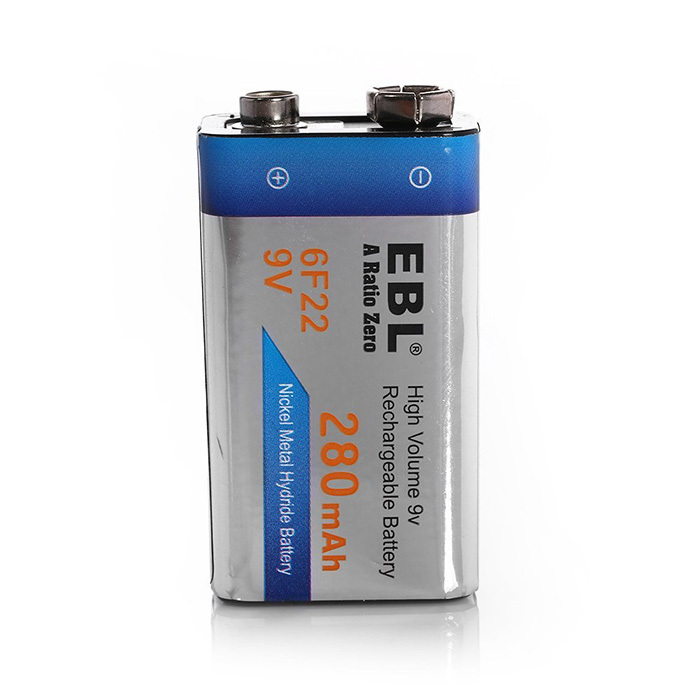 You may often find yourself in need of those rectangular 9-volt batteries once in a while. 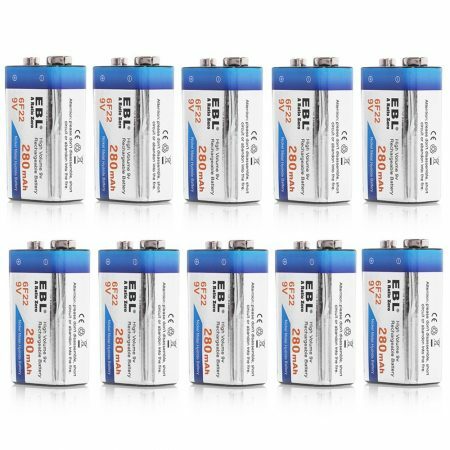 These 10-count batteries come in handy and precharged. You can open the package the use them directly. You don’t have to worry about battery leakage or battery capacity loss during storage for a long time. 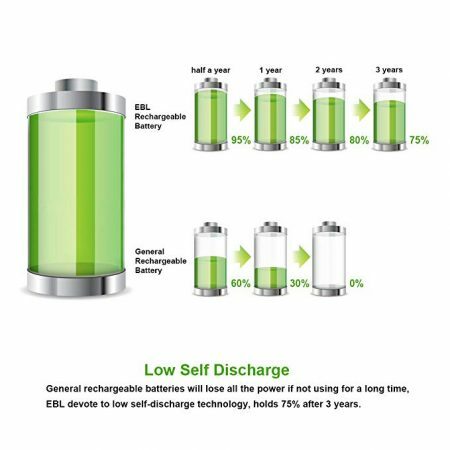 The batteries hold capacity for several years thanks to the impressive low self discharge rate.